About two months ago, First 4 Figures released the first model from the Twilight Princess "Master Arts" series in the form of a 1/4th scale statue of Zant ― the antagonist from The Legend of Zelda: Twilight Princess. Now, the officially-licensed maker of video game figures has announced that the second model will soon be available for pre-order and the teaser image, along with statue details have been made public. 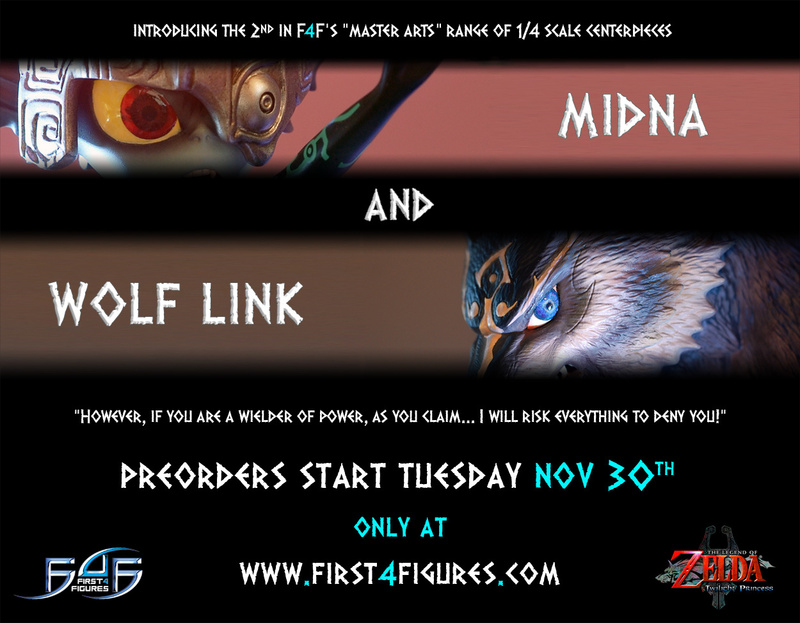 In line with the first instalment, the Midna & Wolf Link centrepiece will also be a 1/4th scale figure, measuring 15 inches tall and 15 inches long. A special limited edition will also be produced, and First 4 Figures "can’t confirm or deny if the only difference between the normal and exclusive version will be LED-light for the exclusive version". Due to a low number of units being manufactured, statues will be on a first-come-first-serve basis. Pre-orders will start on Tuesday, 30th November and on the same day, pricing, number of available units, and the release date will also be announced. Images of the figure will be released too, no doubt shot in moody lighting and heroic angles. So all you collectors out there better get ready to loosen those purse strings. On another note, First 4 Figures will be releasing the Darunia centrepiece ― a new figure from the Ocarina of Time/Majora’s Mask series in February 2011. Darunia is a Goron character from The Legend of Zelda: Ocarina of Time. 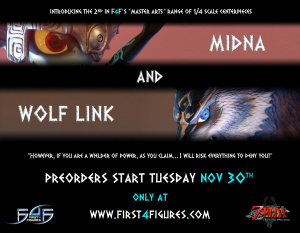 Looks cool, but I am getting sooo sick of that link/midna pose! i actual used to have link, zelda, and their horses as action figures, now i only have link and his horse. but i do have an exact replica of link's twilight princesses sword and shield but miniature. Woo! Oh well though I wouldn't pay for them. I might, if I knew how much they cost. I've got the Ocarina of Time Link statue from F4F, and I am quite happy with it. I think these figures get to expensive, so I won't be buying this one, but I am sure it will look cool. 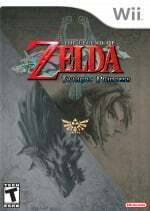 Man, when I first saw this article, I thought it was a preorder bonus or something for Skyward Sword and got all excited. 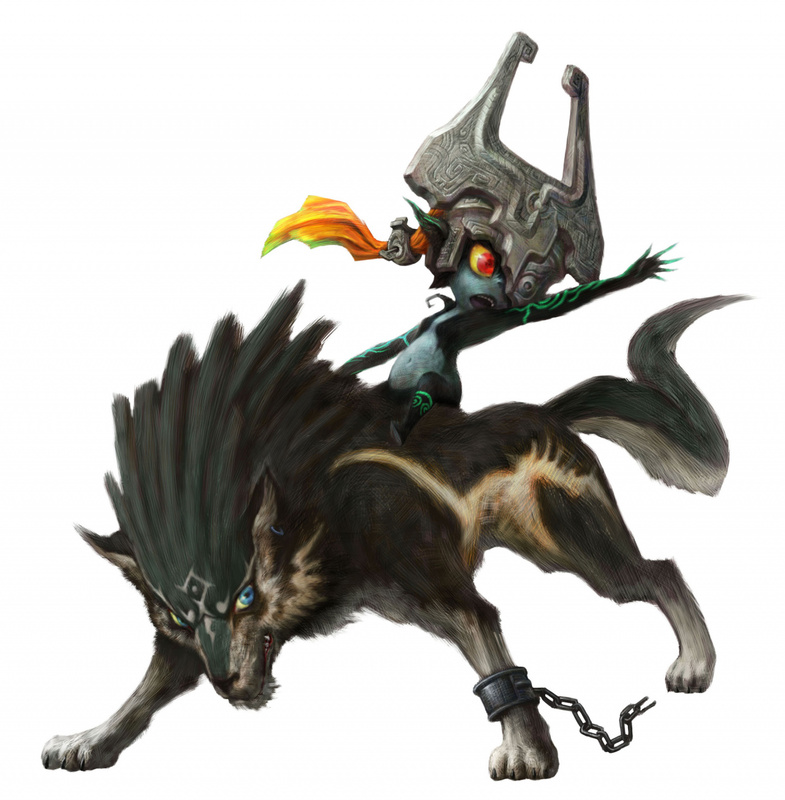 I'm sure they'll be well done (Midna is so cool), but I can't really be bothered. It's too bad their items are so overpriced. Cool offer, but it's a bit pricey for me. That Statue is not safe with me. I had a hard time trying to hide My Club nintendo statue. Cool. Is this from a new game? 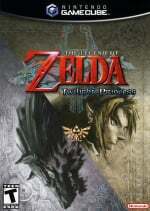 This is a model based off of the game The Legend of Zelda: Twilight Princess, which was released in 2006.